The current on-road price of a small electric car would be more than double the equivalent petrol model, making it highly unattractive and unviable for consumers, says R C Bhargava, chairman of Maruti Suzuki. Even the operational cost of running the two kinds of vehicles, he feels, will not be very different, as the owner of an electric vehicle (EV) will have to deal with a high EMI (equated monthly instalment) and depreciation cost. About 75 per cent of the country’s car sales come from small cars, and Maruti Suzuki is the largest player in this space. “For a petrol car with a Rs 500,000-600,000 tag, an EV variant would not be less than Rs 1.2 million today. In India where upfront cost is the key, it would not be attractive to consumers. And for an average car user, the operational cost of running the car even after saving petrol would get neutralised by high EMI cost and depreciation,” Bhargava told Business Standard in an interview. Reacting to the government’s volte-face on Thursday, that it was not coming out with an EV policy, Bhargava said formulating an EV policy never made sense as the implementation of the government’s target had to be left to the industry. “The government can have a target, but there is no sense in having a policy. What will it do? It is the industry that has to study and decide on the implementation of EV. It can go to the government if there are problems, and it is for the government to decide if it can help. Nobody in the country knows all the aspects and issues for the implementation of EVs. Even in China, the numbers are very small,” he said. Bhargava ruled out the government subsidy as a way to push EVs, a demand which is being made by many automobile manufacturers who currently get substantial subsidy. “Politically, you cannot have subsidies being given for cars, which are meant for the affluent. It is not doable in our country. You could only lower duties.”However, he pointed out that EVs could make sense for bigger cars initially as the relative difference in the car price would not be that high, compared to small cars. 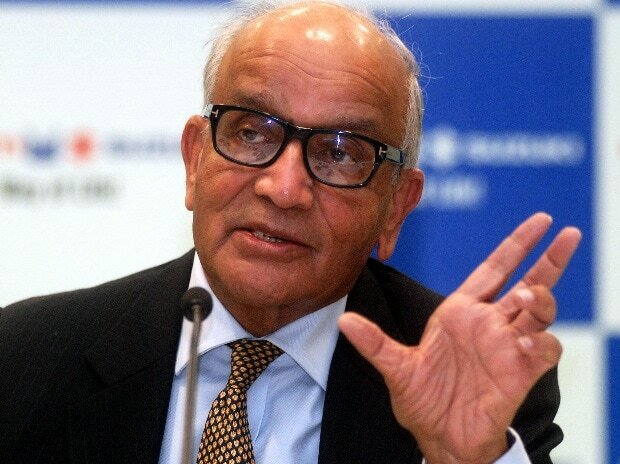 The Maruti chairman also made a plea to encourage hybrid cars, saying the government’s decision to increase the duty on such cars was a knee-jerk reaction. Bhargava also said while Maruti would not get into the quadricycle market, he believed these should be used for personal transportation. “I think two-wheeler users who cannot buy a car yet will like to shift to this mode of transportation and then to cars. The market is big enough and it should be used for personal commuting,” he said. Bhargava said many issues were still not clear with regard to EVs, especially the cost of batteries. He also explained the decision by the Maruti Suzuki’s board for a new structure of royalty payments to its main shareholder. “Currently, all models, including the new ones, pay 5 per cent royalty to Suzuki. What we have cleared is to have a royalty payment structure linked to volumes. So after a particular number of cars sold, the percentage of royalty will go down. What they quantum is has to be decided”.